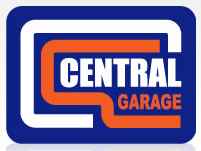 Looking for a garage to fix your Shock Absorbers in Gretna? Save money: Instantly compare Shock Absorber Repairs prices in Gretna to find the best deal. Quick and easy: Simply enter the registration number of your car and your post code, compare prices, choose a local garage in Gretna and book your Shock Absorber Repairs. "Good advice given, did not feel rushed. Felt as if my custom was valued." You may live within walking distance of a garage which offers most of the services you need. However, by sticking with the nearest garage in Gretna you could be missing out on a better deal. What if a garage with a collection / drop off service or courtesy car could do the same job at a good price, without the inconvenience of losing your car for the duration of the repair? BookMyGarage allows you to search for local garages which offer this facility, and compare their prices, all in one session.